The sewing and quilting experts, that is. OMG. I can’t even begin to express to you how excited I am about this festival. $8, but $7 with coupon …one time admission good for all 3 days of the show, so save your ticket! This festival will consist of exhibitors who will fill us all in on the latest and greatest supplies in the quilting/sewing/crafting world. In addition, “Make and Take” workshops and free educational seminars will be available. I’m a beginner when it comes to quilting, so I think this will be a great opportunity to see quilters in action and get some tips from people who have been doing this stuff for years (probably even before I was born… maybe even before my mom was born). Anyway, it’s hard to learn how to quilt by reading about it. 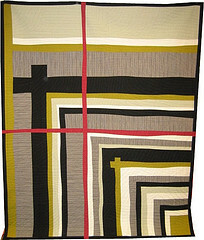 So go check out the festival and learn some quilting tips that will impress your grandma like whoa.